Welcome to the Devon Heritage website where you will find information and articles about the people and places of this County, both past and present. Using the search button may help you to find what you are looking for. 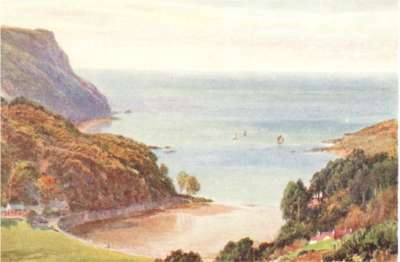 The view above is of Bolt Head near Salcombe, a water colour by Sutton Palmer, which dates from about 1928. The demand for Books, Guides, picture postcards and framed views reached a peak between the wars of the last century that not even the Widgery family could satisfy and soon, other artists were earning a very good living supplying this new market. Our mail box is currently closed due to illness. It will re-open when we have no backlog.